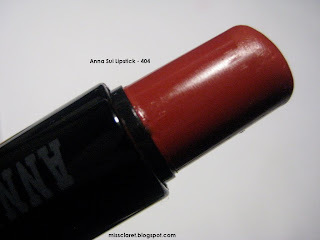 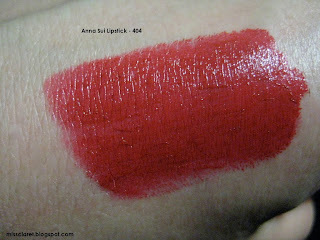 Anna Sui's lipstick in shade 404 is a classic creamy red. 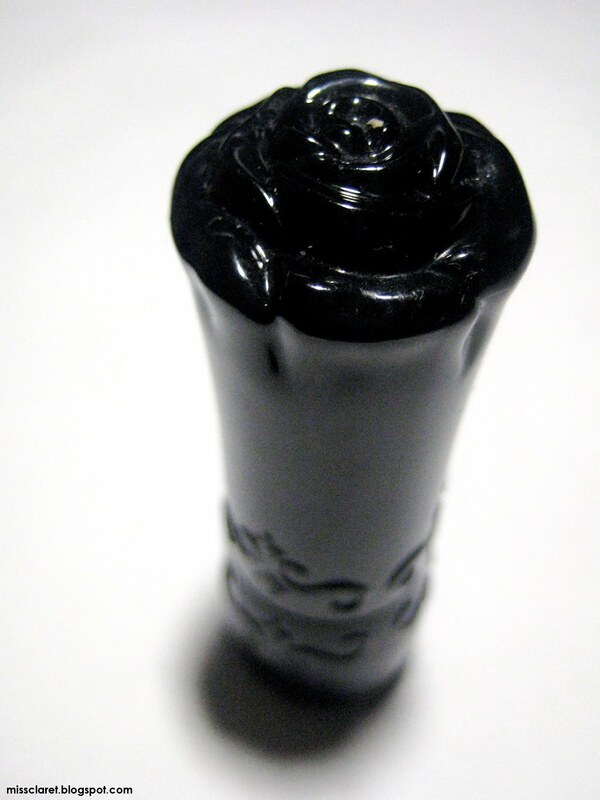 For me, the "wow" factor is the beautiful black carved rose tube that looks like a little work of art sitting on my vanity. 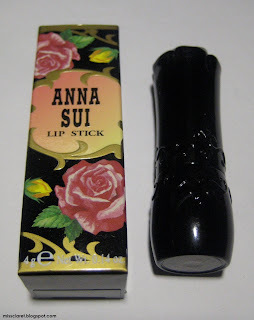 Anna Sui's cosmetic packaging is one of my all time favourites. 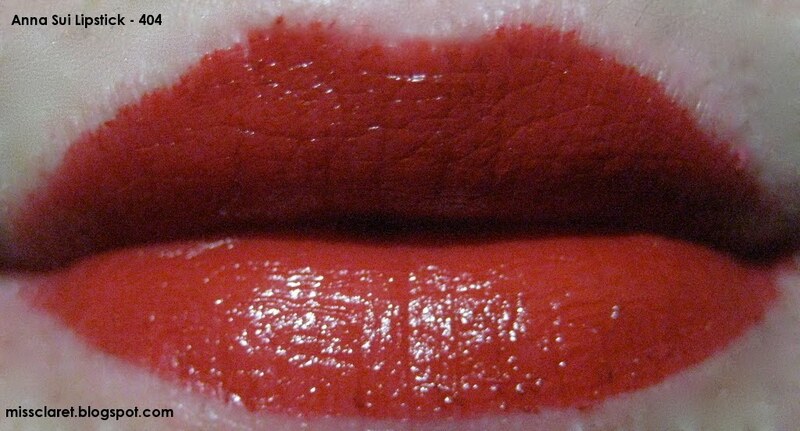 Every piece is decorative and ornate, shiny and black. Here in Australia the range is becoming harder and harder to find... so thank you to Strawberrynet.com who stocks these products!